Whichever regional Methyl isobutyl ketone markets you work in, ICIS offers the thorough pricing information you need to operate with confidence. Our insights into regional Methyl isobutyl ketone markets are provided by our network of reporters based locally in those markets. This enables us to provide in-depth price assessments and market coverage that are reliable and up-to-date on the very latest developments. Supply in MIBK is expected to be ample with no major maintenance works at production plants on the horizon. Length in feedstocks acetone and propylene as well as steady imports from Asia are expected to continue putting downward pressure on the derivative’s prices. Demand is expected to remain relatively subdued in Q2 compared to annual averages and prices may see further decreases to reflect the weak demand before business gains momentum. We offer the following regional Methyl isobutyl ketone analysis and news coverage to keep you informed of factors and developments affecting prices in the Methyl isobutyl ketone marketplace. Over 25 years of reporting on key chemicals markets, including Methyl isobutyl ketone, has brought global recognition of our methodology as being unbiased, authoritative and rigorous in preserving our editorial integrity. Our global network of reporters in Houston, London, Singapore, Shanghai, Guangzhou, Mumbai, Perth and Moscow ensures unrivalled coverage of established and emerging markets. Methyl isobutyl ketone (MIBK) is a stable colourless liquid with a pleasant mild odour. It is both a medium boiling and medium evaporating solvent. 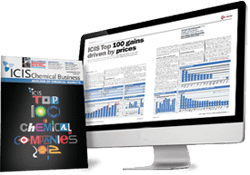 ICIS provides pricing information, news and analysis for all major petrochemical and chemical markets, including Methyl isobutyl ketone. We offer unbiased and independent price reporting, with our price assessments being widely quoted as benchmarks in contracts. Our information is collected from market participants by our global network of reporters, delivering unrivalled coverage of established and emerging markets, including China and Asia. 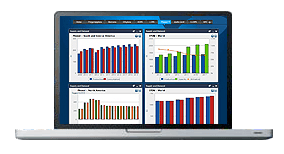 ICIS price assessments are based on information gathered from a wide cross section of the market, comprising consumers, producers, traders and distributors. Confirmed deals, verified by both buyer and seller, provide the foundation of our price assessments, giving you a robust reference for your negotiations. ICIS collects pricing data on a wide range of chemical, energy and fertilizer products, including Methyl isobutyl ketone. Our extensive experience in price reporting means we can offer you access to historical data dating back more than 20 years for certain commodities. Our time series of pricing data enables you to build and model trends, to get a view of where markets might be heading. The data service includes charting functionality, allowing you to chart and download multiple data series for manipulation in your own internal models. 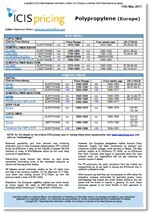 You can also export data to Excel via the ICIS dashboard service.